No maintenance! Frames are prefinished with Ektacron vinyl wrap which eliminates painting. 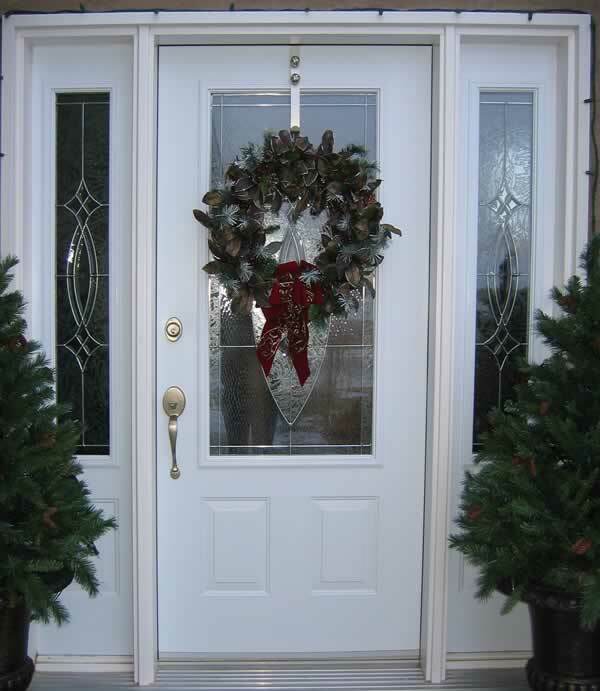 The steel insulated door panels have a white Polytex coating (not primer) which needs no further paint. High R-value polyurethane foam insulation. An enormous selection of panels and glass inserts for a look that suits your home. Visit our showroom in North Battleford to review door options, talk with our friendly and knowledgeable staff, and decide what is best for your project.